Many consumers may find they have few choices when shopping on the Obamacare exchanges for 2017. Most affected by the upheaval in the Obamacare markets are the residents of Pinal County, Arizona. This rural county outside of Phoenix has the dubious distinction of being the first place without any options since the exchanges opened in 2014. Federal and state regulators must now scramble to deal with this unprecedented situation. Some of these markets are relatively small and rural. Still, about 17% of eligible consumers will have only one carrier in their exchange when open enrollment begins in November, according to the McKinsey Center for U.S. Health System Reform. That's up from 2% this year. A healthy insurance market has at least three carriers, said Dan Mendelson, Avalere's president. "You want competitive markets," he said. "Rates are lowest when there is actual competition in a marketplace. Competition will be non-existent in five entire states. Only one insurer will serve Alabama, Alaska, Oklahoma, South Carolina and Wyoming, according to a recent tally by the Kaiser Family Foundation. This year, only one state -- Wyoming -- had a single carrier. Not all insurers are fleeing Obamacare, however. Some carriers are expanding their presence. Cigna (CI), for instance, is expanding into three new markets, including Chicago. Bright Health, a startup founded by a former UnitedHealthcare executive, sees an opportunity in Colorado. Still, even President Obama is concerned about the lack of competition in the exchanges. Last month, he called for Congress to revisit the "public option" for Obamacare in areas where few insurers offer coverage. A public option would mean a government run health insurance plan. 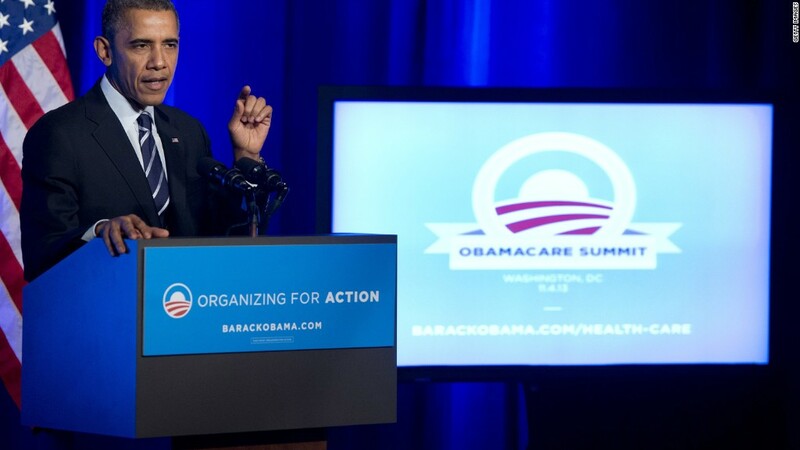 "Some parts of the country have struggled with limited insurance market competition for many years, which is one reason that, in the original debate over health reform, Congress considered and I supported including a Medicare-like public plan," Obama wrote in an article published in the Journal of the American Medical Association. "Adding a public plan in such areas would strengthen the marketplace approach, giving consumers more affordable options while also creating savings for the federal government." Just over 11 million people are covered by insurance obtained in the Obamacare exchanges in 2016. Some 28.6 million remain uninsured as of 2015, the latest data available. Some 147 million people were insured through work-based policies in 2015.